M-Solv are developing a novel pneumatic spray deposition process for large area coverage of functional materials for sheet to sheet and reel to reel processes, to replace conventional coating techniques used in large area and thin film electronics. Currently it is in the scale up phase and has been successful in depositing nanowires, graphene and protective coatings. The process is applicable to a wide variety of materials that come in solution form or as a suspension. An in house R&D platform is capable of spraying up to 500mm x 500mm and has been used to make functional devices such as capacitive touch sensors and lighting devices. 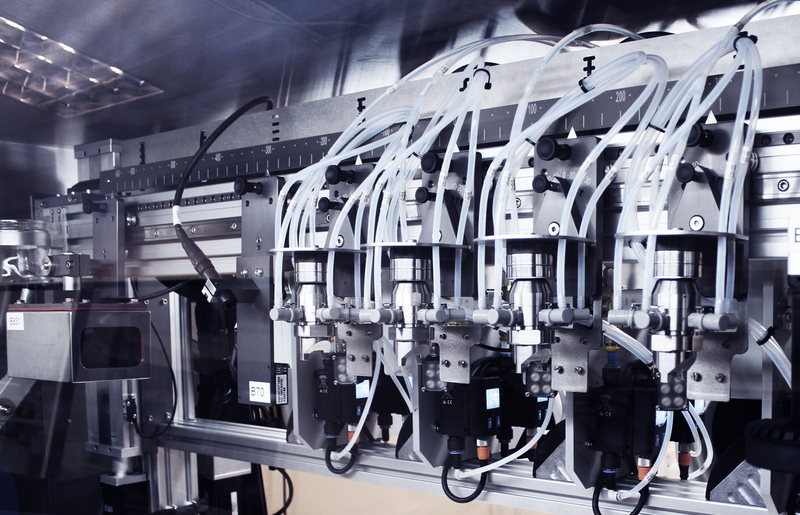 The process can be applied within a glove box (MSV-700G) for moisture and oxygen sensitive materials or over a flatbed system for reel to reel and sheet to sheet substrates in a controlled atmosphere and deposit on plastic films, glass or foils.